How gorgeous are these coasters? Cut agate and geode prints have made a major comeback in home decor the last few years. If you're my age, you probably had a pair of agate bookends when you were younger. They were pretty trendy back in the 90s. I'm thrilled it's back in; it's such a colorful and glamorous way to decorate with nature. 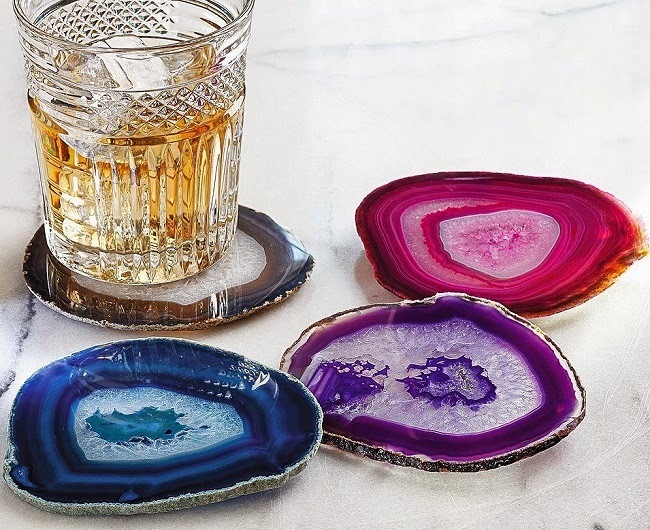 The Smithsonian cut agate coasters pictured above are the perfect way to get in on the trend with baby steps. They may be a bit pricey for a set of coasters, but they would make for a very cool and unique gift. There are a few budget options here and here.